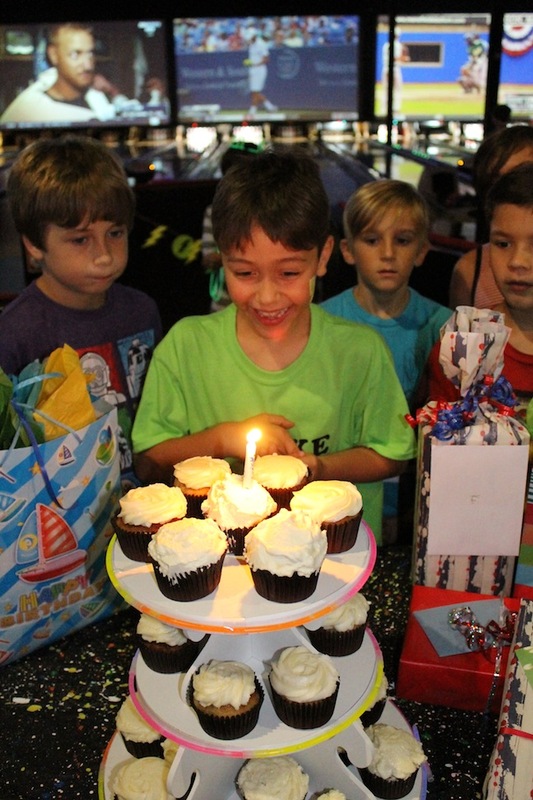 For my son Kai’s eighth birthday, he wanted a big party! I, however, didn’t want the mess in my house. 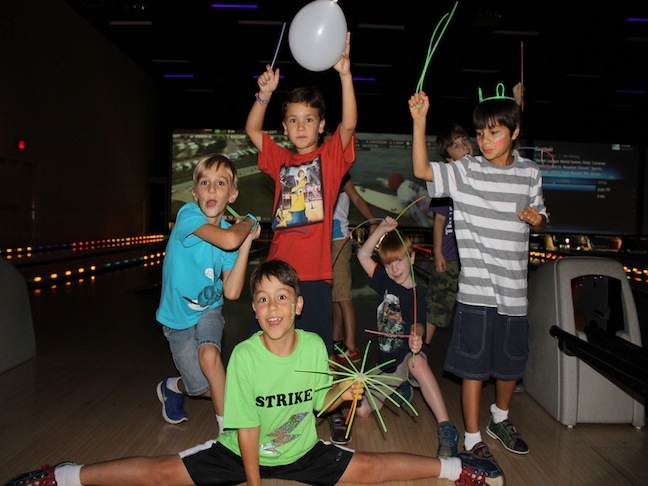 We compromised with a party at a local bowling alley. 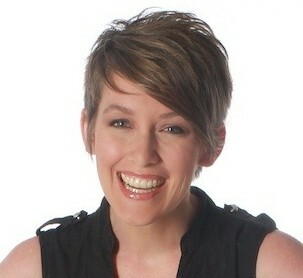 Just because a party is in a public spot does not mean that it can’t be creative and fun! 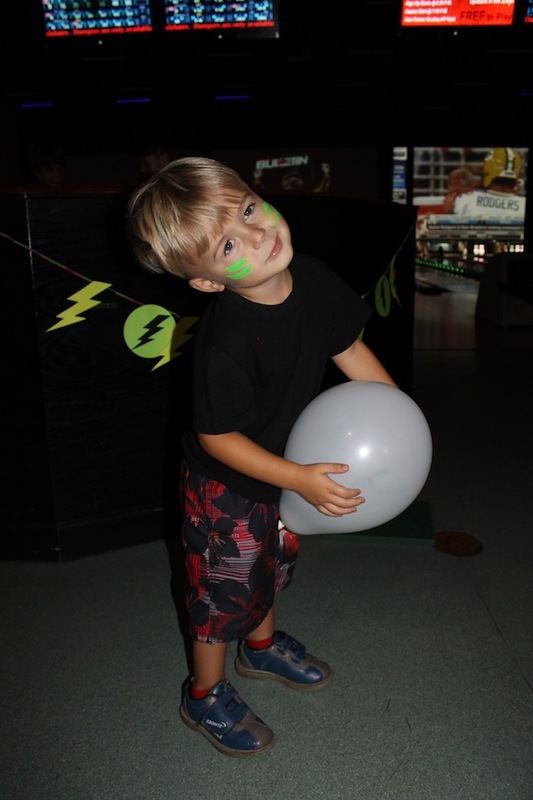 So I came up with a glow in the dark theme as the bowling alley was already loaded with black lights. Kai was so excited about the idea! 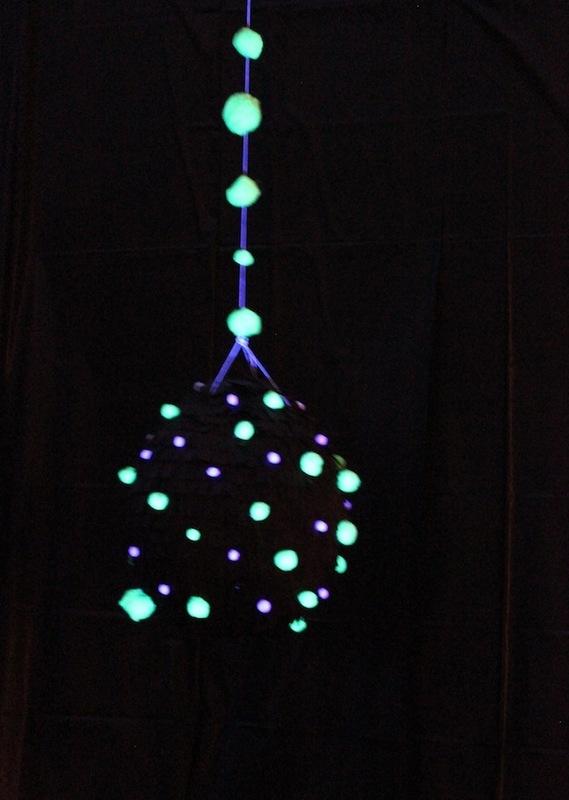 Here’s how to throw a glow in the dark party of your own! I purchased 10 packs of glow bracelets from Michaels (12 for $1). This was the least expensive I found, and Michaels stocks them year round. I also purchased glow glasses at Target in their dollar bin. 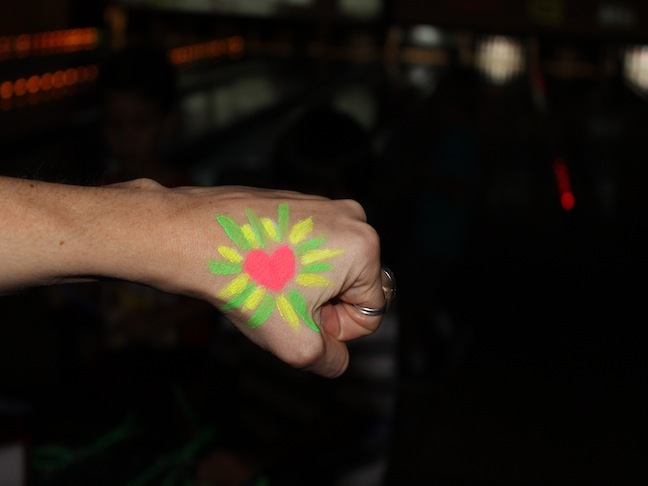 When each child and parent arrived, I covered them in glow bracelets, necklaces, and glow glasses immediately to get everyone in the mood! Another way to get the kids into the party spirit was with face paint. I purchased some glow in the dark face paint at Michaels for $10. I put my BFF in charge of painting all the kids’ faces. Since we aren’t professional face painters, I came up with some simple designs beforehand such as lightning strikes (the party’s sub theme—get it? Bowling strikes!) and warrior designs. Pink and yellow colors seemed to glow the best. And yes, several of the moms got in on the action as well! 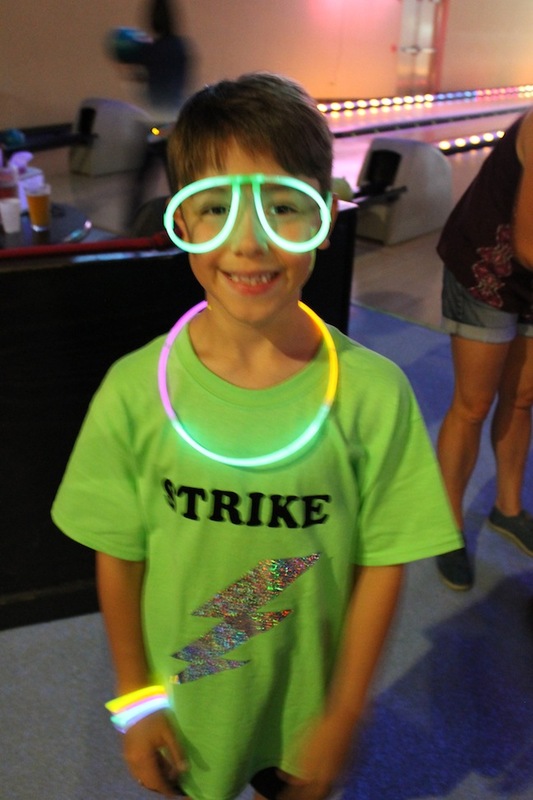 We kept the kids busy while they waited for their turn to bowl by having them play glow-stick ring toss. My dad made us two stands. If you don’t have a handyman dad like me, you can purchase a ring toss stand for $12. 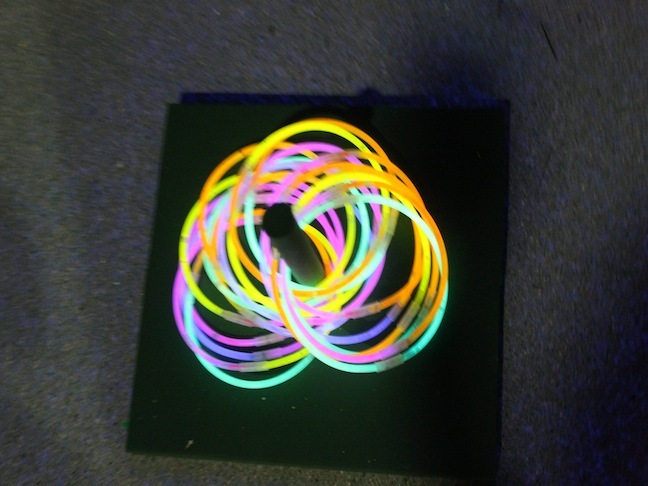 Just connect two glow bracelets together and have the kids see who can toss the best. I also blew up white balloons and stuck glow sticks inside to make them a little more fun. The kids loved bouncing them around. I find that, no matter what, balloons always seem to be a hit! Have a few extra on hand—the balloons popped easier because of the sticks inside. 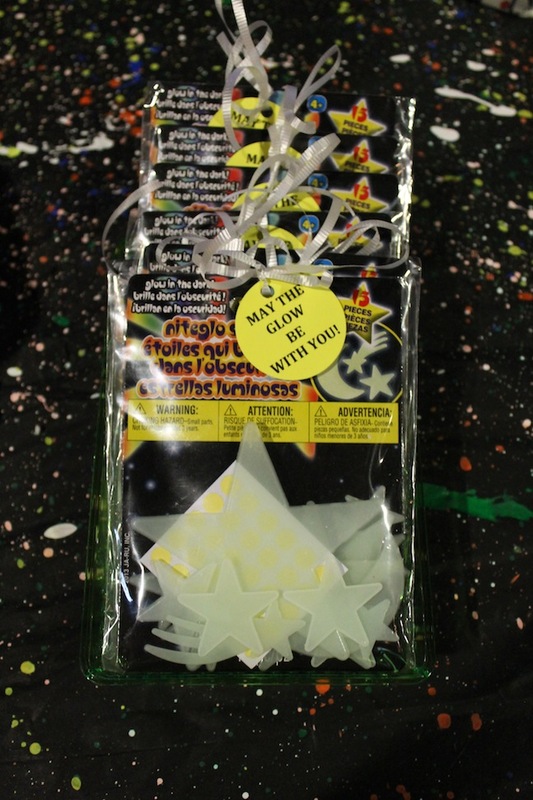 As for party favors, we sent the kids home with glow in the dark stars to keep with the theme and added a tag that read, “May the Glow be with You!” I also found the stars at Michaels for only $1 each! 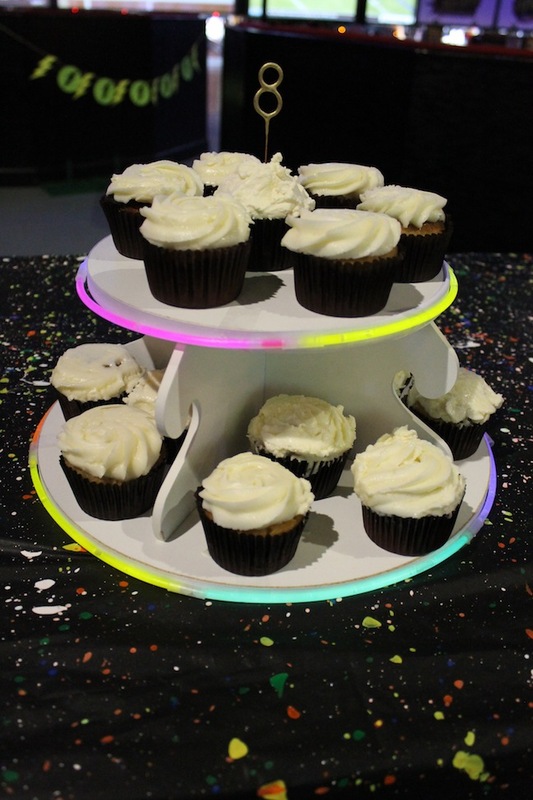 I wanted to jazz up the cupcakes and add a neon touch to them, so I simply connected a few glow sticks together and taped them around the perimeter of a cupcake stand I already owned.